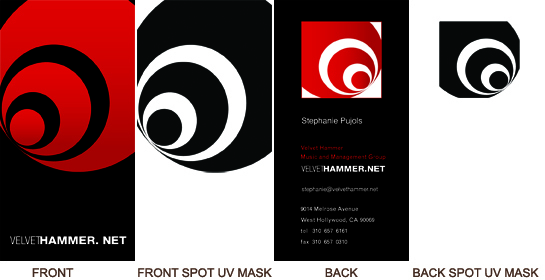 SILK LAMINATE SPOT UV cards: This example is of our slim cut silk laminate spot UV ... 1.75" x 3.5". Artwork requirement: 4 separate files, PDF format, CYMK on front and back, GRAYSCALE on front and back spot uv mask. size of all files: 1.875" x 3.625".